This is our own family recipe! Filled with Ricotta, Mozzarella & Pecorino Romano Cheeses, Italian Sausage and Red Sauce. Handmade at the shop. 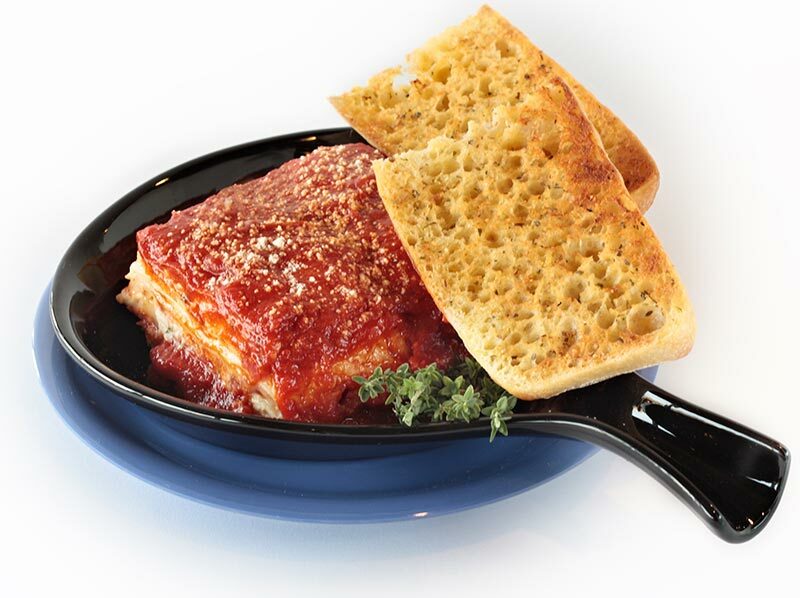 Served with delicious Ciabatta Garlic Toast.